As part of Pro Bono Week 2018, The Jeanie Project was attended The Business Case for Pro Bono by A4ID and LawWorks. 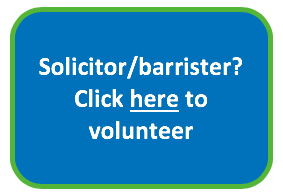 Find out more about championing pro bono in your firm or organisation here. The Jeanie Project sat down with Chair of Trustees and Founder & Managing Director of highly successful Scott-Moncrieff & Associates Solicitors, Lucy Scott-Moncrieff CBE to find out more about leveraging technology for the effective delivery of legal services. To mark the start of Pro Bono week 2018, we talked to Richard Miller to find out more about the importance of pro bono legal advice and his new role with the Project. The Jeanie Project is busy planning for this years National Pro Bono Week, taking place across the country from 22 – 26 October 2018. More information to come! We’re delighted to welcome Judith Houston to The Jeanie Project team. Judith, an LPC student and future trainee with Mills & Reeve, will be taking up the role of Project Officer part time and play a key role in on boarding community groups. Thank you to everyone who donated, supported and promoted our crowdfunding campaign in which we raised £9,675. These funds will enable us to work with community groups over the coming months to put everything through its paces, ready for our launch early in 2019. The mayor of London and former Law Society President, Sadiq Khan, has backed a campaign to raise money required for pilot aiming to boost free legal services to disadvantaged people. Virtual assistants could help food banks and community groups ensure poor and vulnerable people can access the law as part of a new project spearheaded by senior figures in the legal profession. An artificial intelligence (AI) platform designed for businesses is to help staff at food banks and MPs’ surgeries refer legal enquiries from members of the public to lawyers. A technologically advanced ‘knowledge platform’, crowdfunding, pro bono legal services, a new not for profit charity and the engagement of grassroots community organisations make a tempting package. The Jeanie Project was shortlisted for the 2018 Legal Aid Lawyer of the Year Awards. The LALY Awards, organised by the Legal Aid Practitioners Group, celebrate the work of publicly funded lawyers and projects and initiatives which enable access to justice. We were delighted to be shortlisted for the ‘Access to justice through I.T.’ award, which is sponsored by The Legal Education Foundation and offer our congratulations to the winner, Case Ratio.